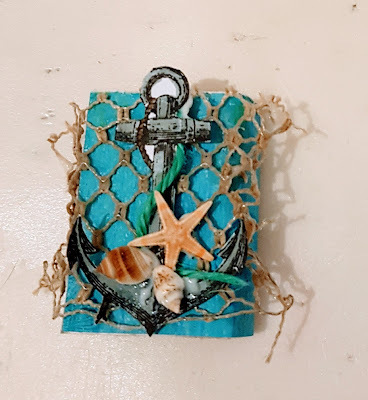 Today I am going to show you how to create this nautical matchbox shrine. 1. 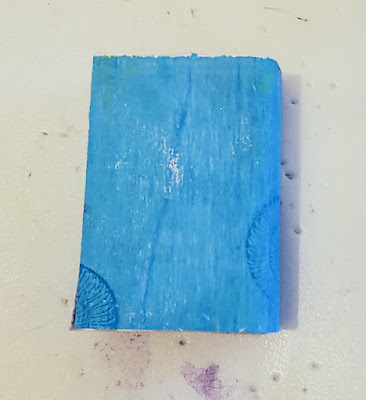 Paint the white cardstock blue, then once the paint has dried, stamp with the spiral shell. 2. 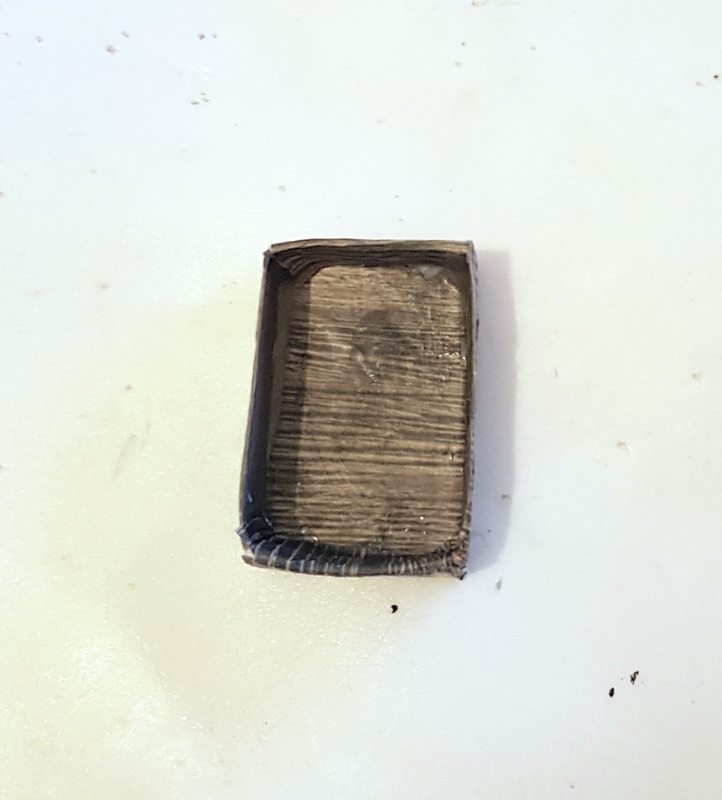 Adhere the wood grain print to the matchbox bottom with the decoupage glue. 3. 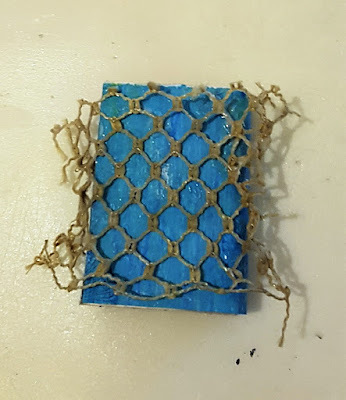 Cut the netting to cover the top of the matchbox. Use the clear drying glue to hold it in place. 4. 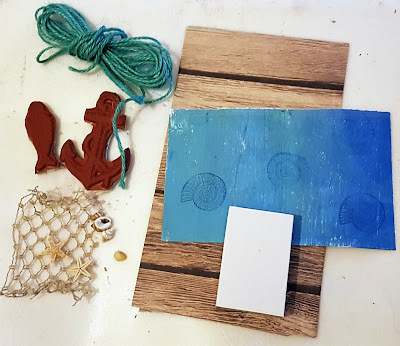 Stamp out the anchor from the Nautical 2 set onto white cardstock and color in with a marker. 5. Cut out the anchor and wrap a bit of twine around it before attaching to the front of the matchbox. Adhere any other sea side embellishments to the anchor. 6.Stamp onto a scrap of cardstock one of the small fish from the Nautical 2 stamp set and color in with a marker before gluing to the inside of the matchbox. Add a few more shells inside.